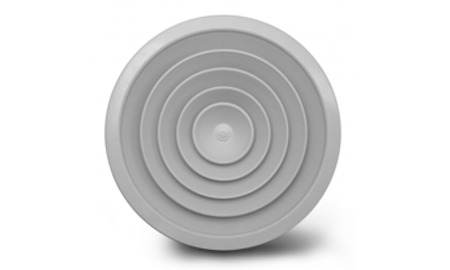 Circular ceiling diffuzer, with removable core. Suitable: for air supply or exhaust. Mounting: mounts inside the ceiling. Material: aluminium. Finish: standard finish is white RAL9016, another RAL color or aluminium finish as option.